I like Japanese paintings. So here it is! 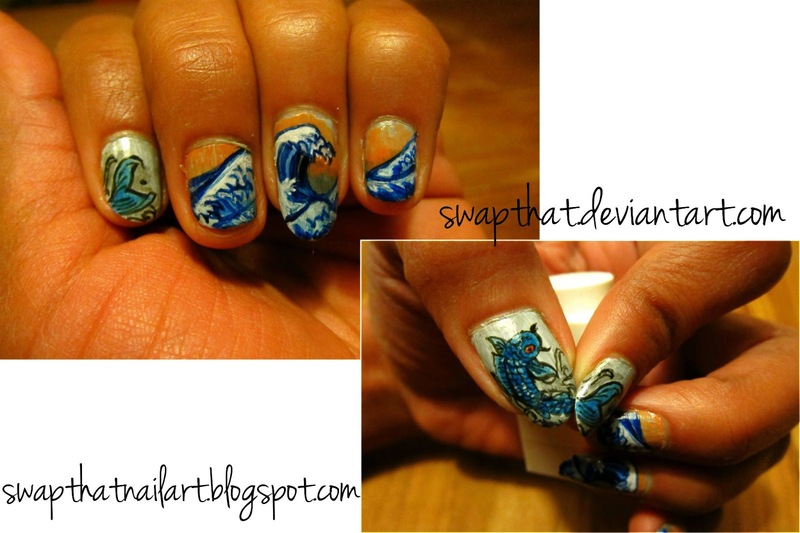 I had painted KOI fish and tried to paint Great waves of Kanagawa! (with acryl) I hope you guys like it!